The Leonberger is a handsome-looking dog from Germany. It is a large working dog weighing 120 to 170 pounds and standing 65to 80 centimetres at the withers. Its distinct feature is its lion-like mane that completes its overall stunning and commanding appearance. However, it is a real gentle giant and makes wonderful family pets. It is also an excellent guard dog because of its massive size and loyal nature. Will you take home a large dog like the Leonberger? Here is a brief background of this gentle, powerful-looking giant dog. The Leonberger first appeared in Leonberg, Germany in 1846 when Herr Heinrich Essig attempted to create a dog that is similar in looks to a lion, which is a coat-of-arms animal of Leonberg. It is believed to be a cross between the Newfoundland, Saint Bernard and Pyrenean Mount Dog, which resulted in a huge dog with a long white coat and an even temperament. The Leonberger became a popular dog in several European royal households that included Napoleon II, Prince of Wales, Umberto I of Italy and Empress Elizabeth of Austria-Hungary. Although Essig named and registered the first Leonberger, records suggest that a breed similar to Leonberger dogs have existed back in 1601 owned by the Metternich family. During World War I, there were only five Leonbergers left so two Leonberger enthusiasts, Stadelmann and Josenhans committed to reviving the breed through its breeding program, which was later taken over by the German government. Again, it almost went extinct during the World War II when the breed was utilised to pull ammunition carts, of which only eight dogs survived to contribute to the modern Leonbergers of today. The Leonberger is a handsome and stunning working dog with a massive size of 120 to 170 pounds and 65 to 80 centimetres. Its distinct feature is its mane similar to that of a lion for which it was initially bred to resemble. Leonbergers have a well-proportioned head that is well-balanced to the rest of the body. They have a moderate stop and a nice black nose with a tapering muzzle. This impressive dog has medium-size, oval-shaped eyes that show a kind and intelligent expression. It has moderately large ears set high and often hanging close to the side of the head. The Leonberger wears a double coat with a rough topcoat and soft, denser undercoat. Often the coat can have a slight wave, especially the chest and neck where an abundant hair is present resembling a lion's mane. The coat always comes with a black mask with main coat colours of yellowish brown, gold, red or reddish brown. Leonbergers shed moderately and more twice a year. Its loads of fur will require a thorough brushing once a week. Bathing can be done as necessary. Aside from coat care, other grooming aspects must not be disregarded. As with all dogs, brushing the teeth is necessary to prevent tooth and gum disease and bad breath. Ears should be thoroughly checked for any signs of infection such as redness, warmth and bad odour. Clean the ears with a vet-approved solution. Nails can be trimmed when you start hearing clicking sounds on the floorboards, which means they have grown too long. The Leonberger is a quiet dog with a pleasant personality. 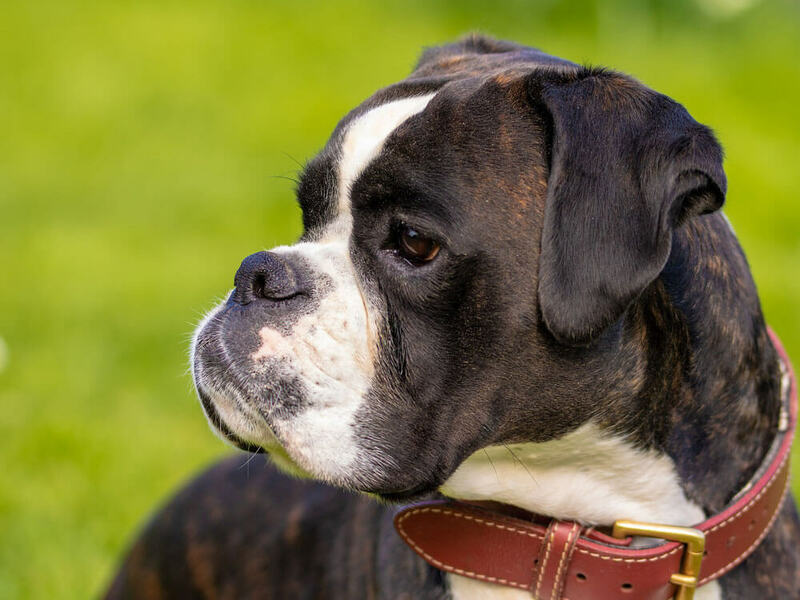 When it is properly socialised and trained, this giant dog breed is confident, obedient, friendly and well-behaved. It is also loyal, which makes it a great guard dog, on top of its massive size. However, the Leonberger is an intelligent breed with a bit of a stubborn streak, so training might not be easy. Thus, it is not ideal for first-time dog owners who do not have experience handling a large breed with a higher level of training. Getting on well with children, the Leonberger has an unusual amount of patience. However, it is best to make sure playtime is well supervised to so the dog does not unnecessarily knock over toddlers. Its massive size can also be a bit scary to small children, so it is preferable to have the Leonberger around older children instead. When it comes to other dogs, it gets on well with them especially when it has been well socialised at a young age. However, care must be taken when the Leonberger is around small animals as it will not hesitate to give chase. 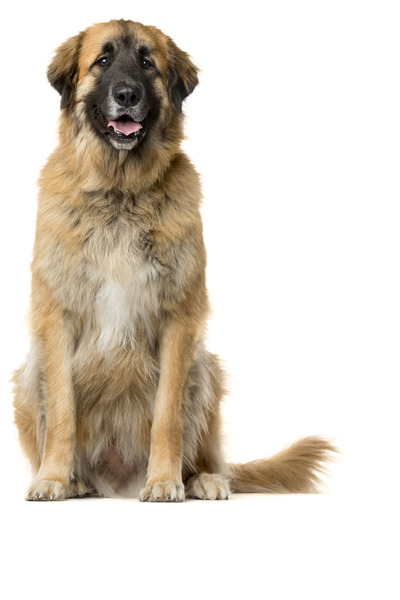 A typical serving for an adult Leonberger is 2 to 4 cups of quality dry dog food per day. There is so much to consider when it comes to proper diet suitable for a dog. Each dog is unique, and feeding is often affected by factors including its age, gender, size, health, build, activity level, and metabolism. When you are not sure what is best for your Leonberger, don't hesitate to consult a veterinarian. Since the Leonberger is a massive dog, make sure to select a quality dog food formulated for large dogs. Also, buy commercial dog food where animal protein is on the top list of its ingredients. Despite its impressive size, Leonberger like any dogs can suffer from bloat if fed too much in one meal, so make sure food servings are equally split into two meals. Since it is a strong and sturdy working dog, the Leonberger is generally healthy and can live up to its maximum lifespan of 10 years. However, the Leonberger is not free from potential genetic health disorders that include Polyneuropathy, Cancer, Elbow and Hip Dysplasia, Eye Problems, and some heart and thyroid problems. Leonbergers are energetic dogs that love to run and play with their family. Make sure to provide a minimum of two hours' worth of exercises on a daily basis. Lack of work or activity may usher negative habits that will be difficult to curb when it grows into an adult dog. Since Leonbergers are large dogs, they require a huge space to move around, preferably a securely fenced back garden. Owning a dog can be a bit financially challenging. Not only do you shell out money to buy a Leonberger puppy (£500 to £1,000), you also need to consider other costs in raising it properly. For instance, you need to avail of a pet insurance premium (£50 to £100 a month) to make sure you are financially able to provide health care for certain illnesses. Food (£60 to £70 a month) is also a huge factor that can be a financial constraint since the Leonberger is not exactly a small dog. Other than those mentioned, veterinary care especially check-ups for preventive measures and other basic procedures will likely cost you £1,200 a year. In a rough estimate, a Leonberger is as much a financial commitment as it is an emotional one, which will set you back at least £110 a month. So if you're keen to buy a Leonberger, make sure you have the budget for at least 10 years. Is a Leonberger Right for You? Leonbergers are quiet dogs with a pleasant personality. This giant dog breed is confident, obedient, friendly and well-behaved. Its massive size and loyal nature make it an excellent guard dog. Grooming-wise, it is high maintenance. It is an energetic dog that requires at least two hours of daily exercise. It is a bit stubborn so training is quite a challenge.